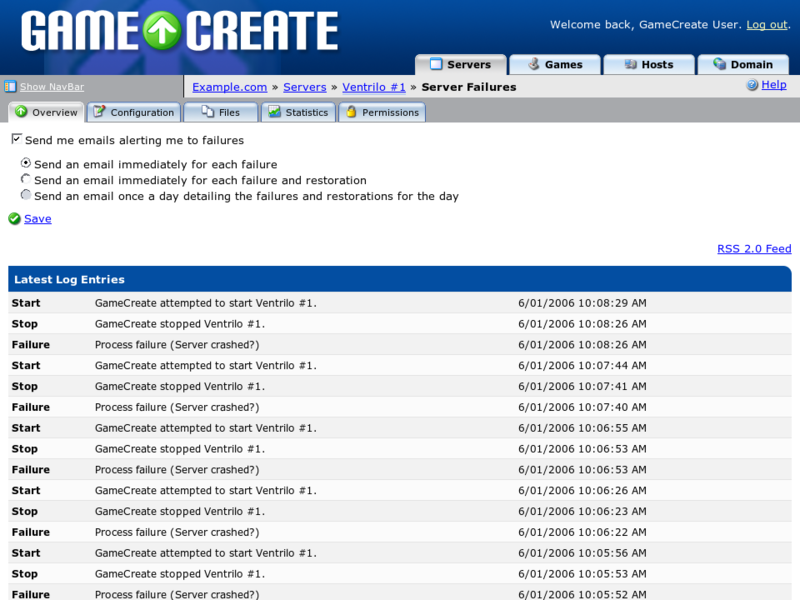 GameCreate monitors your game servers 24x7 so you do not have to. Events are stored in the system log which can be accessed either as a normal web page or via RSS. Failure events can optionally be emailed to you as they occur.